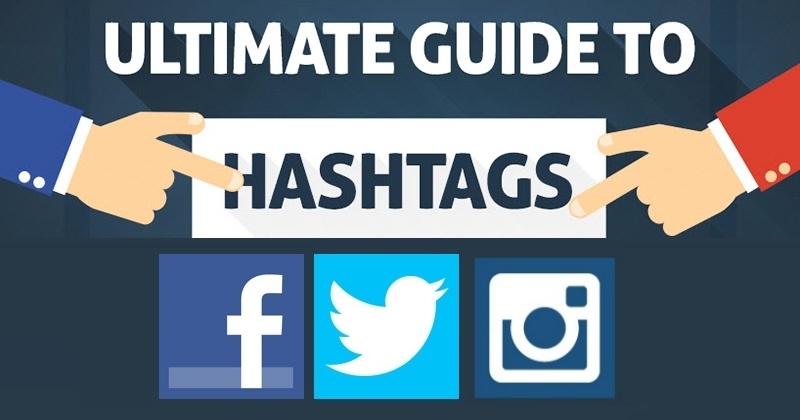 Do you know how to use hashtags properly on different social platforms? This word is one of the most widely used and widespread of the Internet era, especially associated with the phenomenon of microblogging linked to Twitter and whose applications are extremely useful for users, businesses, brands or content creators. The hashtags, as almost every regular Internet user knows, are preceded by the pad symbol – without spaces – and its main use is to label content. Thanks to the hashtags because we can search for content very easily – whether it be articles, conversations, texts, videos or images – around a particular theme or brand, as well as following the latest trends of the moment or monitoring the influence of a specific content. It is, therefore, a fundamental syntactic element for the online dynamics and dialogues and, a decade after its birth continued to constitute an excellent resource for users. The utility of hashtags is totally bi-directional since they can be used to search for content around similar or specific topics and also to tag posts in order to increase visibility and improve their interaction in social networks. Some of the applications of these famous labels are conversations around holidays and celebrations, disasters or emergencies, conferences and events, topics of general interest or last minute events or with political, cultural or media relevance. Next, we’ll break down how hashtags work on Twitter, Facebook and Instagram. How do hashtags work on Twitter? Highlights: Here you will find the tweets that using the hashtag that has gained more popularity. Many belong to influencers or major brands that have quite a few followers in their ranks. Live: In this section, you will accede to the sequence of live tenses of any account that uses said hashtag. News: They come from publishers and media. Photos: This section re shows a collage of the images included in the tweets that use that hashtag. When placing the cursor on a photo you will be given the options to respond, retweet, etc. Videos: As with the photos, you will find these tweets that use the hashtag searched for with videos in it. Other possibilities that the search allows you to do it according to the people you follow – of people you follow – or with the parameter “Near you”, according to geolocation. If you click Insert this search, you can save it. On the left side of the screen, you can also find the section called Related Searches. It is very useful if you are looking for non-official hashtags for your events and campaigns. On the right side, you will find Related articles, where Twitter publishes the most recent and popular articles. Simple search: To do this, use the search box in the upper-right corner of the screen. Advanced search: In this section, you can find specific and exact words and phrases in a specific language, specific accounts, near certain locations or published on specific dates. The results will be displayed in a sequence with various possibilities. Write the hashtag directly in the URL: To do this you must type it directly in the URL, such as twitter.com/InsertHashtagHere. If on the contrary, you are not looking for a specific hashtag but want to find popular tags from scratch, use the trend bar that is located on the left side of your home screen. It is the area of Trending Topics. On the other hand, you can also change the location that Twitter uses to adapt your trends, by selecting the “Change” option to the right of “Trends”. To do this, you must click on “Change” again and enter the location information you want. It is necessary to underline a significant difference of Facebook with respect to Twitter or Instagram, networks in which many people have public accounts and their post can be seen by anyone. On Facebook this does not happen like this since most accounts are private, even though they use hashtags, they will not appear in the search. However, in the official pages of brands, media or influencers you can get good information from them. It will be of great use. Highlights: It is the one that comes by default and offers you a sequence of the most popular social network post under that hashtag. Recent: Will appear those post public that has been published more recently, often linked to an event or news breaking. Photos: Posts that use the hashtag and contain images. Videos: As above, but this time they include videos. Pages: These are the pages on Facebook that are officially associated with the hashtag. People: People in the social network with a name officially associated with the hashtag. Sometimes there is no result in this section for a particular hashtag. Places: Places in the world with a name officially associated with the hashtag. Sometimes there is no result in this section for a particular hashtag. Groups: Facebook groups with a name officially associated with the hashtag. Applications: Applications with a name officially associated with the hashtag. The use of tags in this social network is very simple, you should only accompany each post on your Facebook page or biography with the hashtag you want. If you want any user to find it, make sure your post is public. To do this, click the button to the left of “Publish” and select “Public” from the drop-down menu. When you post the post on your page or biography, the hashtag will become a link that can be selected and redirects people to the hashtag page. To find content linked to a given hashtag, you can do a simple search with the search box in the upper left corner or type it directly into the URL, under the format facebook.com/hashtag/InsertHashtagHere. How do hashtags work on Instagram? Instagram is one of the most popular social networks and is one of the favourite brands to advertise and improve their conversion rates and interaction with their users. If Instagram users who are not connected to each other otherwise address the same topic using a specific hashtag, their post will appear in the same sequence. It should be noted that the interface is much simpler than those of Twitter and Facebook. Related Hashtags: You will see all the hashtags linked to yours, which you can explore in the related hashtags bar. Highlighted publications: With this option you will access the nine most popular posts that use that hashtag, usually coming from brands and influencers. Most recent: It is a sequence of the most recent post that includes that hashtag in its publication. Using them is extremely easy, just try to incorporate it into the photo, album or uploaded video. If you have the account set as public, everyone can reach your post through the hashtag, while if it is private, only your followers will be able to see it. The social network helps you, so when you write a new post and start writing a hashtag with the # symbol, Instagram will suggest the hashtags depending on your popularity usage. These tips are very useful for labelling your content and increasing your visibility. As for searches, if you already know the hashtag you want to search, the only way to do it on Instagram from your mobile is with a simple search using the magnifying glass that is at the bottom of the screen, which will take you to The Explore tab. This is excellent for finding popular hashtags and content that have worked best on Zuckerberg’s social network. This is how the hashtags work on Twitter, Facebook and Instagram. Once if you know how these hashtags work, you can easily use them accordingly. I hope this article helps you to use hashtags correctly in every post of yours on Twitter, Insta and FB. If you have any queries regarding the hashtags, let us know in the below comment section. If you want us to include any important and useful information regarding hashtags, write them to our mail or in the below comment section. We will include them in the next article update. Thanks for sharing this detailed post on Use of Hashtags properly for socail platforms, As a Newbie this post was helpful for me to Improve my Social Media Posts. Thank you so much for giving your valuable feedback. Keep visiting our website for more interesting stuff like this.